A beautiful classic with elements that make it better than most. 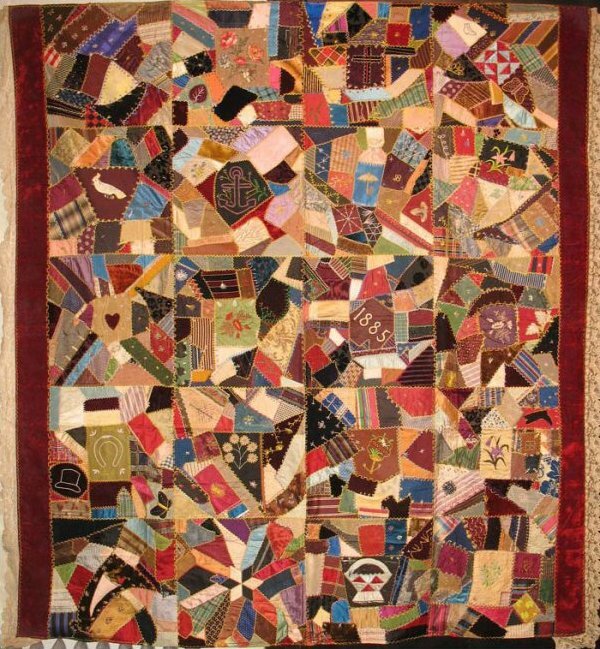 Dated 1885 in embroidery; numerous small blocks with lots of color and very little black unlike its Victorian counterparts. Mostly shades in the red and gold spectrum; embroidered thoroughly with the familiar Victorian era stitchery. Bordered on two opposing sides with ruby red velvet and lace trim. Demarest New jersey origin.125 years old and still radiant in color and materials.